River cruising is taking off. It has become one of the most popular ways to visit the heartland of Europe, a relaxed way for travelers to explore famous cities and the scenic villages, history, and vineyards of the countryside. Route: Seine river cruises usually begin, and often round-trip to Paris. The river flows north, ending at the sea in Normandy. Some itineraries include crossing the Channel, with a stay in London. London, Paris, and French countryside in between? Formidable! As the French would say. Highlights: You had us at 'Paris'. Most itineraries include at least one pre- or post- cruise day, and in our opinion, you'll want to top it up to at least three days minimum in the City of Light. Art Lover? The region is the birthplace of Impressionism. Cruises call at Giverny, Claude Monet's home, where the flower and water gardens that inspired some of his most famous works are still on view. 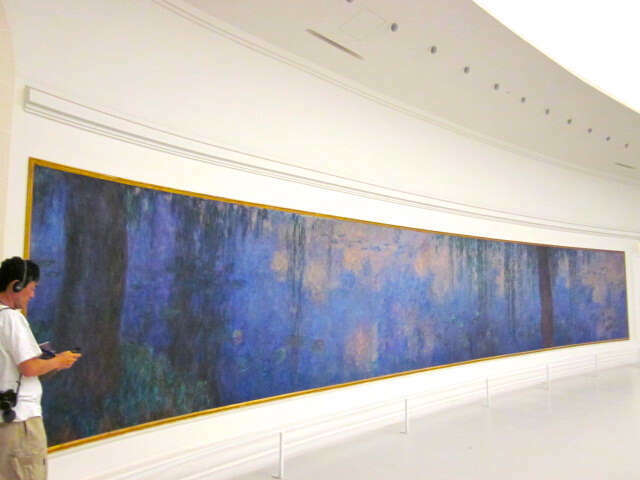 And don't miss Rouen's second largest collection of Impressionist art in the world (after Paris' Musee d'Orsay). Normandy is the largest region in France that is NOT a wine-producing region (the horror!). Instead, the signature Norman beverage is Calvados – a brandy-like spirit made from the region's famous apple crops. The dairy cattle grazing in fields throughout the countryside supply the milk for the area's most famous cheese: Camembert. One of the biggest draws is the opportunity to visit the World War 2 D-Day Landing Beaches. American, British and Canadian sites are emotional reminders of the epic struggle to gain the first foothold in the quest to free Europe. Memorial centers bring the stories of the battles and soldiers to life, and can help trace family members who fought. 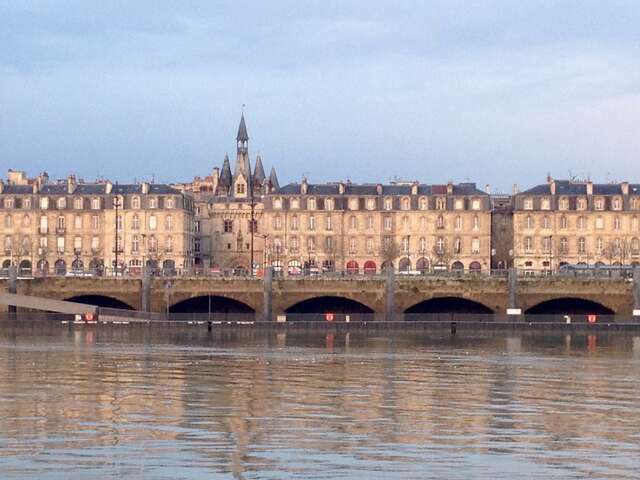 Route: Rather than traveling on one river, a cruise in this storied area of south-western France is more like traveling on spokes, where the city of Bordeaux is something of a hub to explore along the Garonne and Dordogne rivers, and Gironde estuary. Highlights: This is a wine lover's dream. When you hear the word 'Bordeaux', we bet your first thought is wine. Ours is! Bordeaux is the capital of the Aquitaine region, and a wine region: the largest, one of the oldest, and most prestigious in France. Some of the most fabled and historic vineyards and wine houses are here, including Chateau d'Yquem, that holds the record for the most expensive bottle of wine in the world, and Chateau Margaux, the first grand cru. 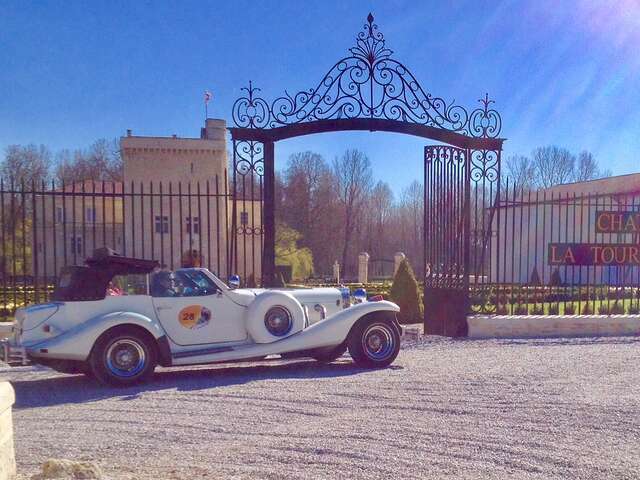 Daily visits and tastings let you immerse yourself in the history, terroirs, and flavors of Medoc, Cadillac's Sauternes, Saint-Emilion, the first wine region to be protected by UNESCO, and more. The city of Bordeaux has been called the 'essence of elegance', second only to Paris as the French city with the most protected architecture. Its 18th century French design is best represented by the breathtaking Place de la Bourse. Best of all, your cruise ship docks in the 'Port de la Lune', a crescent shaped part of the river in the heart of the historic city. It's like the city is a theater, and you have the best seats in the house from the top deck of your river cruise ship. Bordeaux keeps its eye to the future, too, with modern architecture, vineyards and developments, including the new and astonishing riverbank 'Cite du Vin' – a vast museum of wine whose wildly modern design evokes a stylized decanter, or maybe a curving grape vine, or maybe the swirl of wine being poured into a glass... 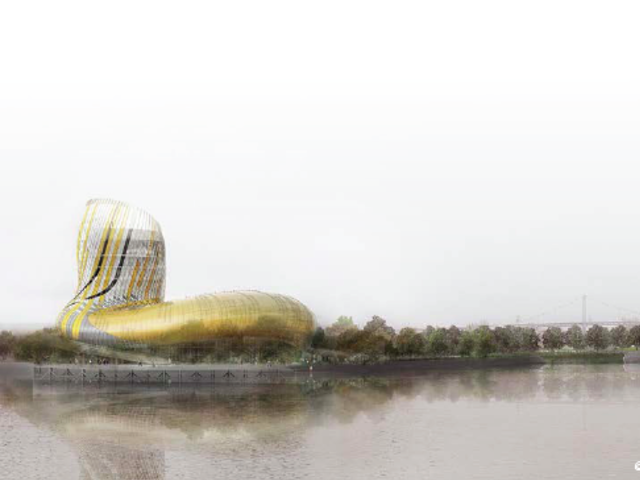 However you interpret the design, the new center firmly entrenches Bordeaux as the world capital of wine. Route: The Douro river flows from Spain in the east, across northern Portugal to the western city of Porto on the Atlantic coast. The scenic Douro Valley passes historic centers, and famous vineyards, and for many people, the heart of Portugal's Latin culture. 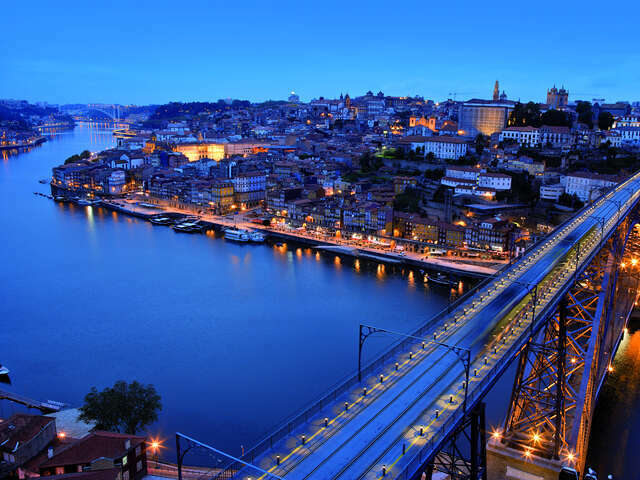 The port city of Porto is the second largest in Portugal (behind Lisbon), and a UNESCO World Heritage Site. If its famous bridge reminds you of the Eiffel Tower, you are not crazy; its architect studied under Eiffel. It was a small world, even in the 19th century. Porto's name suggests its claim to fame. This is the home of port wine. In 1756, it became the first demarcated and regulated wine region in the world. 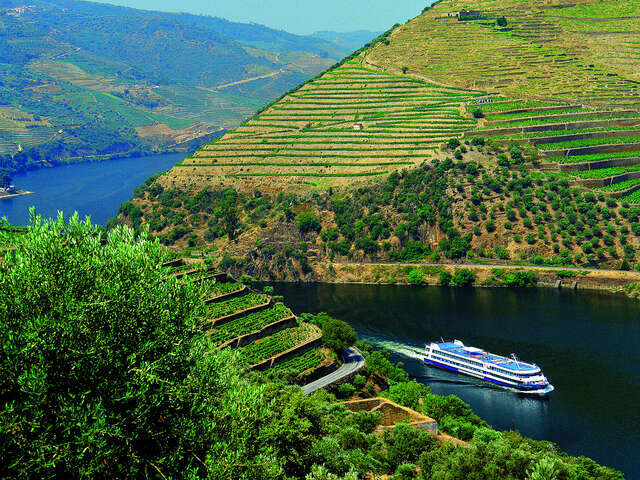 A Douro river cruise brings you to the doorstep of some of the region's best places to experience a rich and storied wine that has become less common in most social circles. (These days, it's mostly in British costume dramas where we see men retreating to their studies and clubs for 'port and cigars'). You can sip your way along the Douro river, featuring the 2000-year old, UNESCO World Heritage Vinhateiro wine region, the scenic Varosa Valley, the beautiful vineyards of Regua that produce the best range of port wine in the country, Casa de Mateus, the castle made famous on the labels of Portugal’s renowned Mateus wine, and other viticulture treats. At the eastern end of the Douro: Spain. Some itineraries cross the border to vibrant Salamanca, whose signature golden sandstone architecture glows. Thie UNESCO World Heritage city has a 13th century university where Christopher Columbus, the ultimate world traveler, once studied.